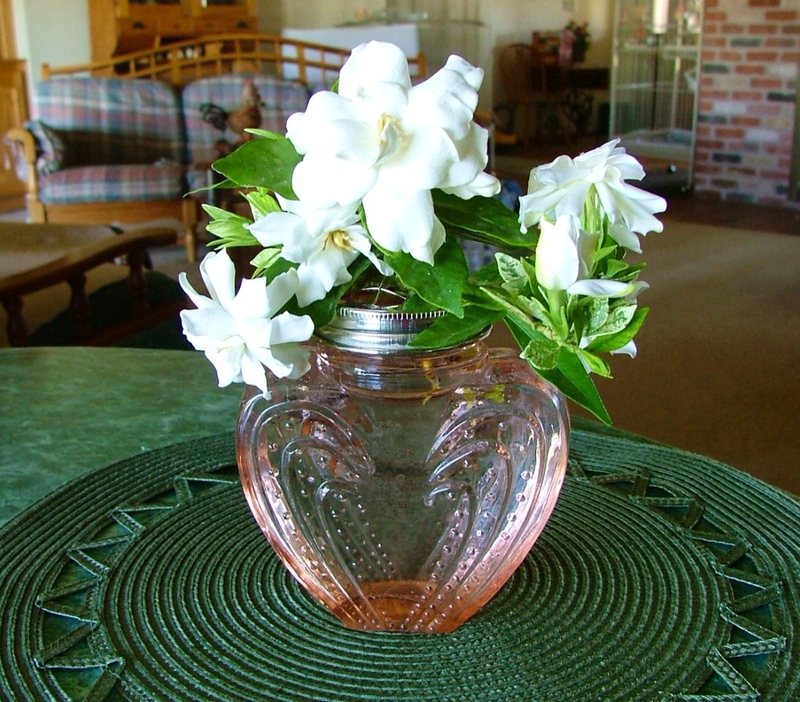 Over at Julie's: A Little Bouquet for You! I picked this little bouquet just for you to say Thank You, dear friend, for taking time to visit . . . Over at Julie's!!! Ah ... Gardenias! The scent is from heaven. I must agree! My wedding bouquet was cascading gardenias and pink rose buds.